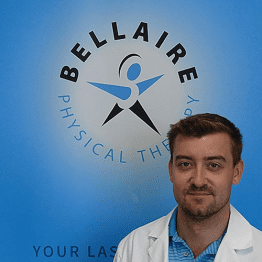 Dr. Jeremy Schmidt graduated from Texas State University with his graduate degree in physical therapy specializing in orthopedic and sports injury rehabilitation. Currently, Jeremy is pursuing his fellowship in orthopedic manual therapy to join the elite few who hold this level of education and skill. A detail-oriented and efficient clinician, Jeremy is proud to analyze the underlying cause of seemingly “sudden” onset of pain and facilitate return to pain free activity. Jeremy has a special interest in working with the overhead athlete and CrossFit community. Schedule and evaluation or treatment with Dr. Schmidt today.